CINCINNATI (October 5, 2018) – MadTree Brewing Company, one of Cincinnati’s most popular breweries and maker of the beer named Lift, has partnered with Lyft, the fastest growing rideshare company in the U.S., to make sure craft beer drinkers have a responsible way to get home after a night of drinking. 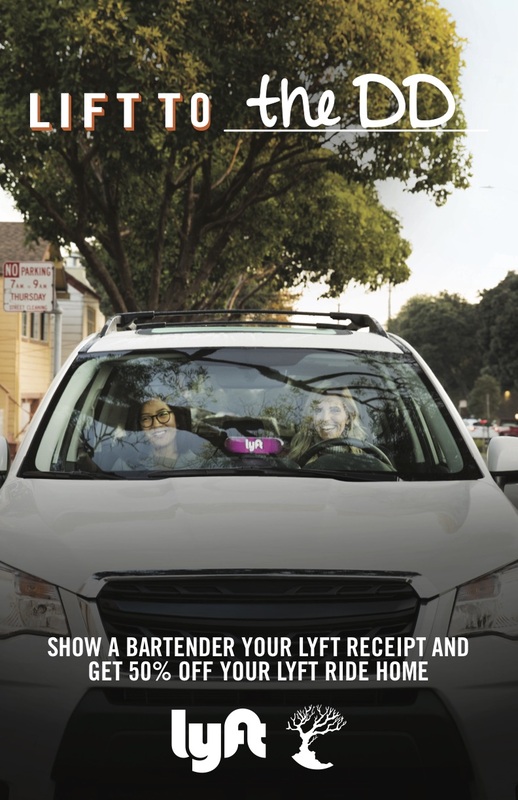 From Thursday through Sunday during the month of October, customers at the MadTree Taproom who take a Lyft ride to there will receive a coupon code for 50% off their ride home (up to $5) when they show their Lyft receipt to a bartender. Lift, a light, crisp, and refreshing German Kölsch-style beer has long been one MadTree’s best-selling beers and is the beer for all occasions -- from hanging out with friends by the campfire to lounging by the pool. 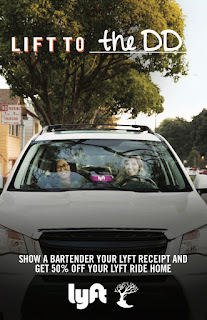 Beer drinkers have long considered the name Lift synonymous with using the ridesharing service Lyft. Cincinnati’s MadTree Brewing made history when they opened in 2013 by becoming the first modern craft brewery to can its beer in Ohio. When it comes to brewing, they have carved their own path. They mix. They mash. They methodically bring quality beer to life and have fun doing it. Demand from the growing community keeps MadTree motivated and moving. In return, they make nothing but the best beer and opened their new production brewery and taproom in February 2017. They are founded and continue to grow on the notion that beer builds community builds and community builds beer. MadTree distributes its beers throughout Ohio, Kentucky, and Middle and Eastern Tennessee. For more information about the beers, brewery, and taproom, visit madtreebrewing.com or connect with them on Facebook, Twitter, Instagram, and Snapchat. 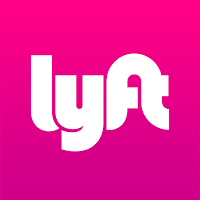 Lyft was founded in June 2012 by Logan Green and John Zimmer to improve people’s lives with the world’s best transportation. Lyft is the fastest growing rideshare company in the U.S. and is available to 95 percent of the US population. Lyft is preferred by drivers and passengers for its safe and friendly experience and its commitment to effecting positive change for the future of our cities. Labels: Beer News, Cincinnati, Cincinnati Beer, LYFT, MadTree Brewing Co.